In 1985 Brotherwood Automobility revolutionized transport for disabled people across the UK, by re-engineering Nissan Prairie to carry a wheelchair seated passenger, whilst blending seamlessly with the other cars on the road – unlike the ‘Pope-mobile’ style conversions prevalent at the time. In turn Brotherwood pioneered a new method of wheelchair accessible vehicle manufacture which has often since been imitated, but never bettered. 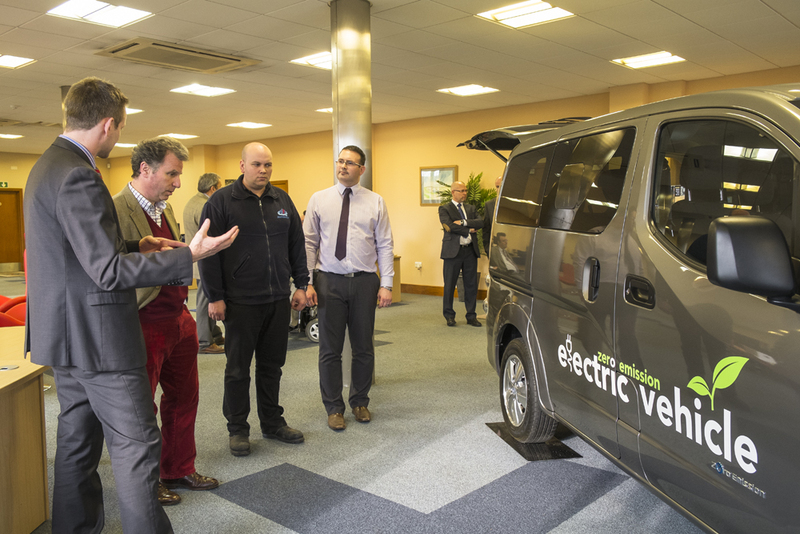 30 years later the Dorset-based company has set yet another first for wheelchair passenger transport, teaming with Nissan again with the launch of the Brotherwood Envy: The UK’s first Fully Electric Wheelchair Accessible Vehicle, based on the Nissan eNV-200 Combi. The Brotherwood Envy marks yet another milestone for the pioneering company which was also the first to create a wheelchair passenger ‘up-front’ Wheelchair Accessible Vehicle (WAV), and also the first to achieve Low Volume Type Approval for a wheelchair car conversion. The Nissan eNV-200 on which the Envy is based uses Nissan’s trusted plugin technology: sharing the 24kW battery and 80kW motor ePowertrain from the world’s best-selling electric vehicle, the Nissan Leaf. This proven platform endows the Envy with a range of 106 miles, which when equipped with the Rapid Charge facility enables the battery to be fully charged in 4 hours, or topped up to 80% within just 30 minutes. The zero-emission powertrain offers significant savings in running cost for service providers requiring a multi-purpose vehicle with wheelchair accessibility: becoming the first WAV to offer Congestion Charge exemption, 0% Benefit-in-Kind until 2015, and ‘fuel’ cost reduced to as little as 2p per mile; servicing costs are also thought to be approximately £350 lower than an equivalent petrol or diesel powered vehicle. With CO2 emissions of 75g/km or less until March 2018 all Ultra-Low Emitting Vehicles (ULEVs) will benefit from 100% FYA First Year Allowance unlike the vast majority of petrol and diesel models available today. In total it is estimated that inner city users in particular could save over £4,000 per vehicle per year by switching to electric power. The Brotherwood Envy conversion offers a true multi-purpose vehicle without compromise; the 5 standard passenger seats are retained, whilst the wheelchair user travels on a low, level and flat floor. Wheelchair loading is made fast and easy with the shallow, counterbalanced Brotherwood ramp and easy-use restraint system. The Envy is also the first vehicle to benefit from the newly designed Brotherwood ramp system, which slides neatly into the boot floor when not in use to create a flat luggage area when no wheelchair passengers are on board. This makes the Envy a versatile and flexible vehicle that reaches every possible requirement. Commenting on the launch, Brotherwood Managing Director John Daniel: “Reaching this milestone in designing and manufacturing Europe’s first Fully Electric Wheelchair Accessible Vehicle has been embracing for the company in so many ways. 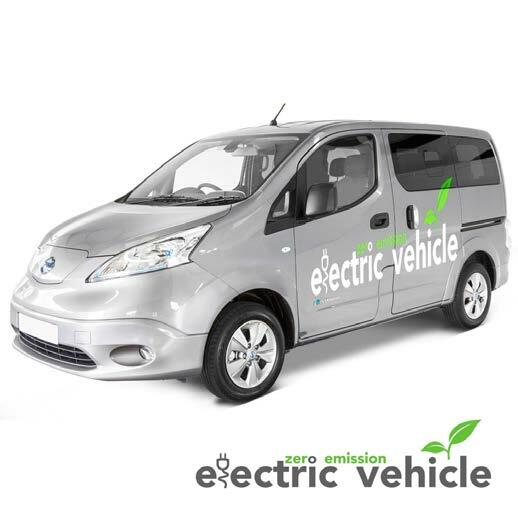 The Nissan ENV200 has enabled us to understand electric power and to embrace the new technology that is here to stay. We are very fortunate to have the technical support and direction from our local supplying dealer, F.J Chalke of Wincanton. For more information and to register your interest for updates or a demonstration of the Brotherwood Envy, visit GoGreenwithEnvy.co.uk; or call Brotherwood today on 0845 322 4923. Be the first to comment on "Go Green With Envy: The UK’s First Electric Wheelchair Accessible Vehicle From Brotherwood®"